This is the first time I'm writing about something I haven't seen but I am very very excited about this. I read that it will be screened in Anthology Film Archives (my favorite place to see film in the world) tonight. In a post to Frameworks, Elle Burchill wrote that Jonas just finished a 4 hours 49 minutes long video called Lithuania and the Collapse of the USSR. "The video is made up of footage that I took with my Sony from the television newscasts during the collapse of the USSR, with the home noises in the background. It’s a capsule record of what happened and how it happened during that crucial period as recorded by the television newscasters. It can be also viewed as a classic Greek drama in which the destinies of nations are changed drastically by the unbending, bordering-on-irrational will of one small man, one small nation determined to regain its freedom, backed by Olympus in its fight against the Might & Power, against the Impossible." The last serious video work of Jonas Mekas I saw was A Letter from Greenpoint (2005)... What beautiful light, composition! A song sung on video! One of the greatest moving-image artist alive releasing a new serious work is an event that deserves front-page exposure in all newspapers. Ezra Pound said "Literature is news that stays news." and this is true for all great art. I truly hope somebody who sees the work will reply to this post. I work for Microcinema International. We curate, exhibit and distribute the moving image arts. I recently created a Facebook Film Page for "Walden-Diaries, Notes and Sketches" by Jonas Mekas. 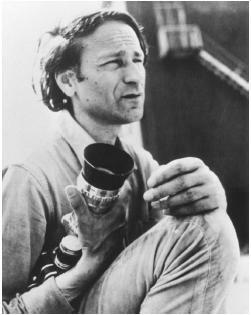 If you are fan of Jonas Mekas, you will appreciate this experimental film. I have posted video clips from the film, photos, links and events, and I would appreciate it if you help me get the page "HAPPENING!" All you have to do are 3 things. "Walden - Diaries, Notes and Sketches by Jonas Mekas" is EXCLUSIVELY DISTRIBUTED by Microcinema DVD. To order this DVD and/or other Microcinema titles, go to: www.microcinemadvd.com. I love "Walden - Diaries, Notes and Sketches"... It's great news it'll be available on DVD. Thanks for posting this, it's welcome publicity in this blog.